Anti -melas whitening serum contains an advance formula (MELASMA BRIGHT TM) to combat melasma , epidermal and dermal pigmentation. 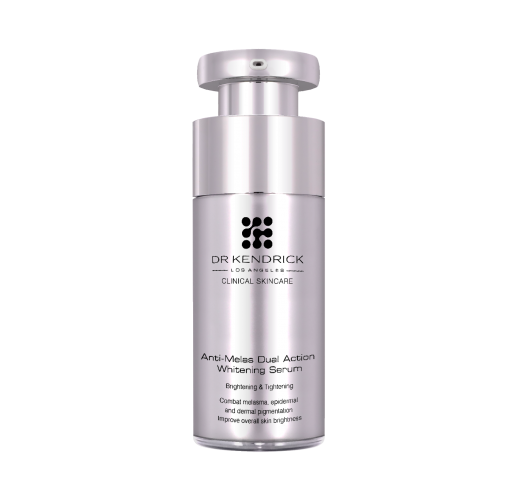 Recently clinical studies have shown that MELASMA BRIGHT TM can significant reduce pigmentation in both melasma patients and those who have suffered from pigmentation problems secondary to sun damage. Overall skin brightness improved significantly in most of the study subjects. In addition to the whitening effect, MELASMA BRIGHT TM also has shown to increase skin firmness. Majority of the study subjects have reported increase of skin tightness after 6 weeks of use. 6) People who have skin laxity and wanted to increase overall skin firmness. Melasma Bright TM : For whitening and lightening spots. 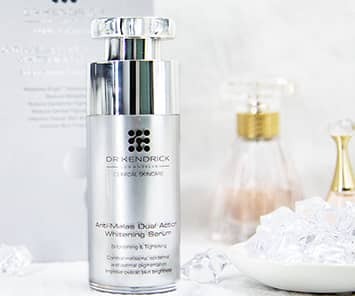 Its whitening mechanism can simultaneously suppress the activity of melanocytes and start to fight melanin aggregation from the edge of the dark spot. Its patented ingredients are stable, not susceptible to temperature and environmental damage, and are not suitable for users with high requirements for blemishes.